Jam | Baking and Caking! I don’t know why, but starting about a month ago, I became obsessed with the idea of making jam. I don’t know where it came from – maybe seeing all the beautiful fruit at the farmers’ market? Or the beautiful display of canning products at the Broadway Panhandler? Whatever it was, I finally decided to make jam last week! Having no prior experience making jam, I decided to order a jam kit online as well as a large stock pot, given that our largest pot isn’t even big enough to make a serving of pasta. 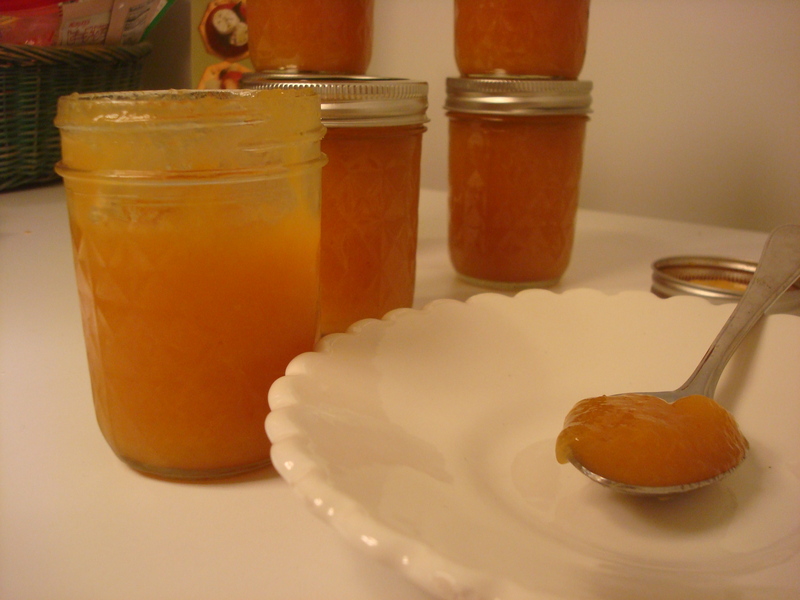 After venturing to the farmers’ market to buy perhaps some of the last peaches of the seasons, I started the jam-making process. It was actually a lot easier than I anticipated, it just takes a solid chunk of time where you really have to pay attention. At first, I was awfully confused with the whole boiling water bath for the jars, but I realized that with the help of the special rack that came with my pot, it was all actually quite easy. 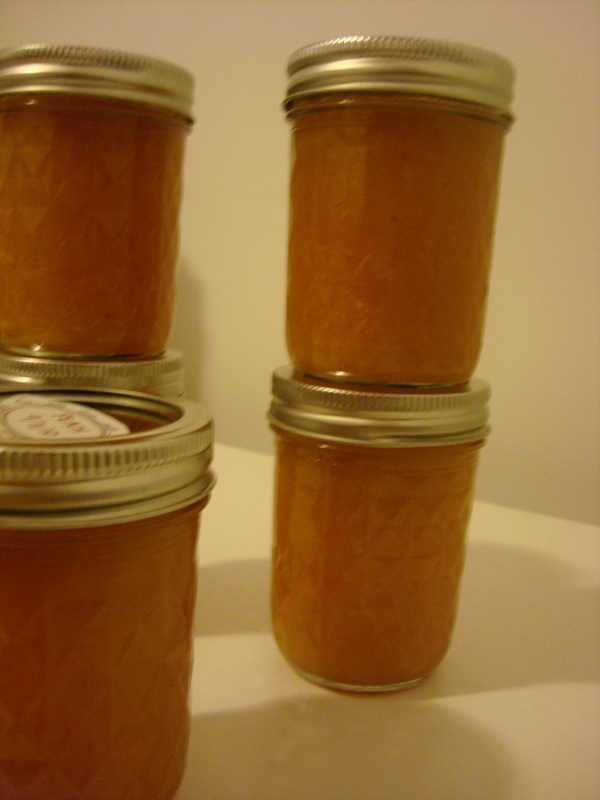 I jumped around from recipe to recipe and had a hard time deciding between using pectin or just sugar. I finally decided on no-sugar pectin because it was the only kind they had at the supermarket and added about 2 cups of sugar. It didn’t come out quite how I wanted it – it was bit more of a fruit compote than jam – but it was still yummy and I’ve been having it on my toast most mornings. I am 100% certain that this was just my first adventure in my new obession with jamming. 1) Crush 1 cup chopped peaches in the bottom of a large saucepan. Add remaining peaches, and set pan over medium-low heat. 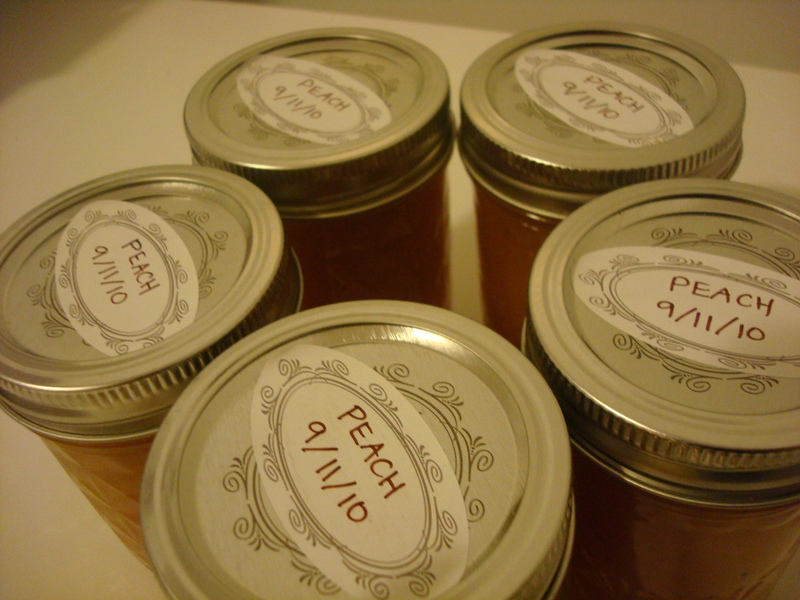 Bring to a low boil, and cook for about 20 minutes or until peaches become liquid. 2) Add sugar, and bring to a boil once again over medium heat. Gradually stir in dry pectin, and boil for 1 minute. 3) Remove from heat after 1 minute, and transfer to sterilized jars. Process in hot water bath canner for 10 minutes. Let cool, and place on shelf. Here is a great tutorial (towards the bottom) on processing jam in a hot water bath with a nifty little video that helped me a bunch! It’s that time of year again – PURIM TIME! I love Purim. It’s always so much fun to get dressed up, give out mishloach manot to give to friends and family and to have a big old party. I love making hamantaschen. They are a fun family or group project. Last year, my youth group had a big event were we made lots and lots of hamantaschen to donate to the elderly in our community. Here is a look at the recipe I posted last year so you can get a head start. Hamantaschen, as I said are really quite simple to make, just make sure your rolling surface is well floured and that you have many different fillings, because the more fillings the more fun!